Messenger Yahoo! Lottery Results You won( 952,000,00EUROS) Yahoo! Mail congratulates you! Yahoo! Mail announce you as one of the lucky winners in the ongoing Yahoo Lottery Draw of the 20th Jun 2007. We are pleased to inform you, the beneficiary of this email account the result of the Yahoo lottery programs released on the 22th Jun 2007. You are to send the completed verification form below to our Agent in the Madrid Spain whose email address is given above so that you will be advised on what to do to get your prize fund /money. Congratulations once more!! Due to mix up of some email addresses and winning numbers, your funds has been deposited in a transit account with the paying bank BBVA (BANCO BILBAO VIZCAYA ARGENTARIA S.A.) under insurance policy bond awaiting remittance as soon as your contact is received by your representative claim agent LIBERTY AGENCIA DE SEGUROS S.L., there in Madrid. Your agent will help you facilitate the release of your winning fund as you may wish to receive it being the bona fide beneficiary of the winning email. We ask that you keep your winning information confidential until your claims has been processed by your agent and your winning fund remitted to you finaly, this is part of our security protocol to avoid double claiming and unwarranted abuse of this program by some participants and those you might reveal your winning information to, please be warn !!!. All participants were selected through a computer ballot system drawn from over one million companies and individuals email addresses and names from all over the world, as this is a millennium scientific computer game in which email addresses were used. It is a promotional program aimed at encouraging internet users; therefore you do not need to buy ticket to enter for it. Find below your winning information to file your claim. WINNING Nº: 17-19-29-36-45 / (05-06) Bonus Ball. 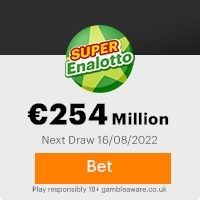 The above numbers consequently won your email in the 2nd category, you have therefore been approved for a lump sum pay out of EUR ?952,000,.00. (NINE HUNDRED AND FIFTY TWO THOUSAND EUROS). To begin your lottery claim, please contact the processing agent that have been appointed for the processing and remittance of your winings using the contact informations below. GRAN VIA 78, 28008 MADRID SPAIN. Furthermore, should there be any change of address do inform the processing agent as soon as possible. Congratulations once again from members and staff of Yahoo lottery and thank you for being part of our promotional program. Europe and International Coordinator . This Email with the Subject "***********(CONCRATULATION FROM YAHOO)************" was received in one of Scamdex's honeypot email accounts on Mon, 25 Jun 2007 11:03:14 -0700 and has been classified as a Generic Scam Email. The sender shows as info mail <infomaildepts@web.de>, although that address was probably spoofed. We recommend that you do not attempt to contact any persons or organizations referenced in this email, as you may expose yourself to scammers and, at the very least, you will be added to their email address lists for spam purposes.